This is a limited edition India Pale Ale beer from the Moon Booze Brewery that is located in the higher regions of Boulder, Colorado. It is a promotional placement for the India Pale Ale that is only for a limited time and creates knowledge of a different brewery that is growing into other locations. The beer package itself gives an illustrative style to separate from the more classic style packaging and branding. 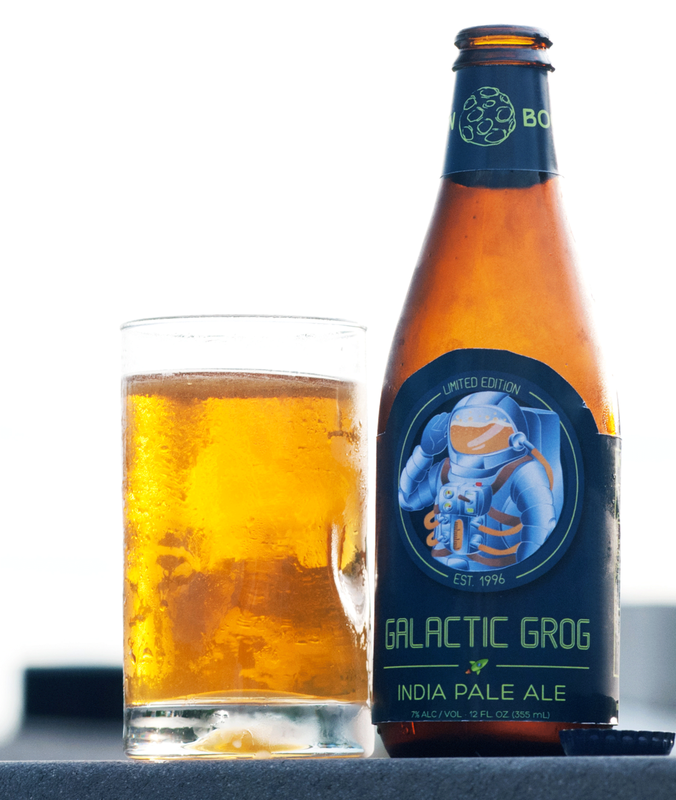 The six-packs would be placed in the in-store promotional stand to direct to an informational website that explains the Galactic Grog India Pale Ale style and creation. 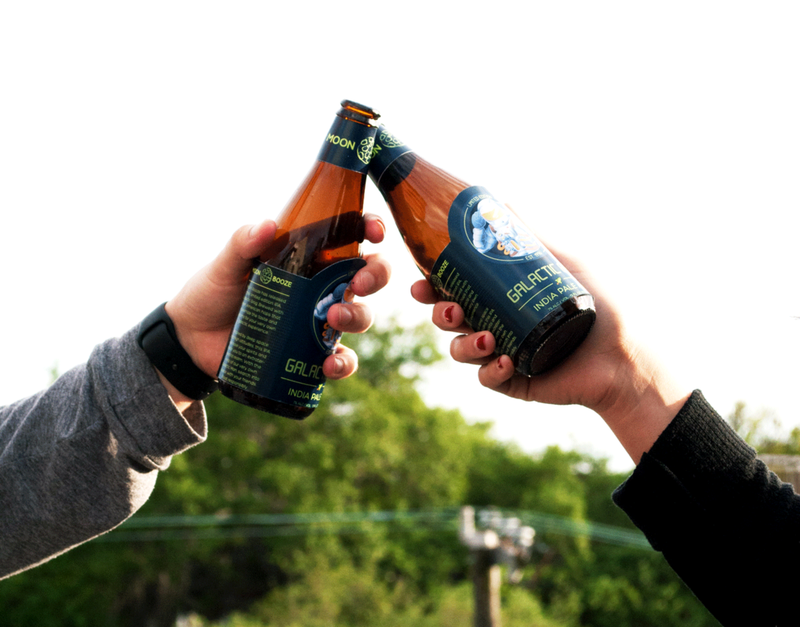 The goal of Galactic Grog is to attract new customers to a local brewery that is growing into more stores.